As part of the design process, I regularly create series of design concepts for clients looking for a new logo. It’s a common request to have certain elements from multiple concepts combined. As a designer, this can be incredibly challenging. It’s hard to make a logo by combining two completely different ones. 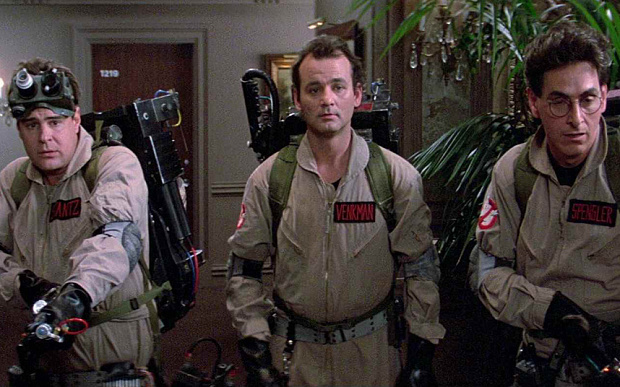 I liken this to the Ghostbusters’ quandary of “crossing the streams” — when to follow a rule, and knowing when to break it. 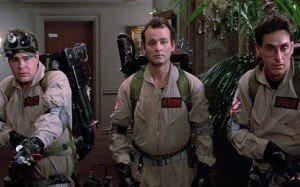 During their first case, Egon warned the other Ghostbusters not to cross the energy beams from their ghost-capturing proton packs, saying, “It would be bad.” While “crossing the streams” actually proves to be useful later on, doing so is unpredictable and dangerous. Sometimes, logo concepts will, individually, seem fine, but will lack something. Most of the time, keeping individual concepts separate is the safest bet. However, some concepts will be weaker in some ways, stronger in others, and there’s a distinct possibility that none of them will be “just right.” In those instances, it’s easy to face the lure of combining two or more in a valiant attempt to make something better. Considering each concept was likely already “finalized,” mashing two of them together will probably result in some The Fly style abomination. This can often end poorly. 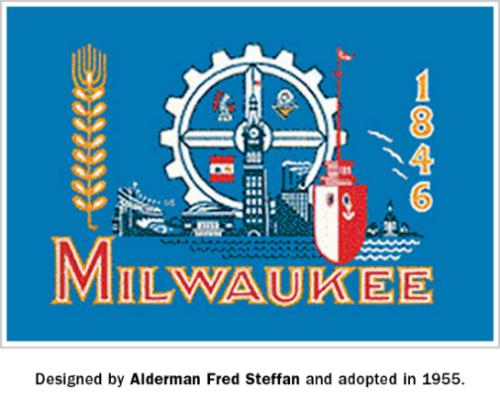 Milwaukee, Wisconsin’s flag, the result of many different concepts combined. However, with every rule, there’s the exception, that pivotal moment when a rule established early on is broken in a dramatic way — when the forbidden technique must be used. That moment when you “cross the streams,” destroying the big bad villain, and inevitably triumph. Don’t be reliant on smashing two ideas together, but always be on the lookout for when it might work. Try looking for certain curves or shapes that complement or align with one another. Say one concept has a circular space within one of its elements, and another is circular in its entirety. In that case, one could fit within the other and they wouldn’t inherently conflict. Find aspects of each symbol that work with one another, or propose the two separate concepts as a main and an alternate. If a dichotomy is already part of the client’s identity, then that’s an opportunity to have that be reflected in the logo. 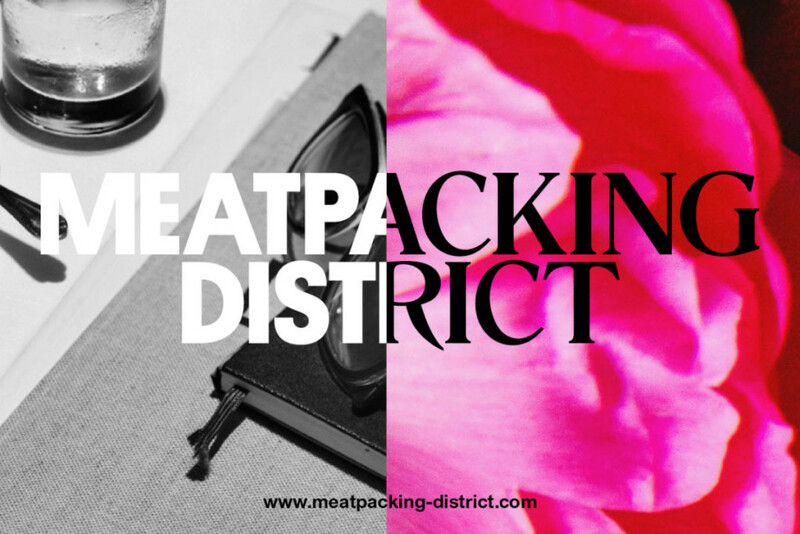 Manhattan’s Meatpacking District’s branding probably isn’t the result of throwing together two different concepts haphazardly. However, it is an example of how elements can seemingly clash in a logo, yet work within the context of the overall branding. I like to visit Under Consideration’s “Brand New” section to find dissections of brand identity work. 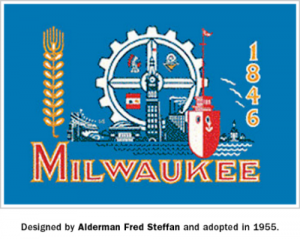 It’s a great resource for seeing the processes behind various logos and branding, big and small. 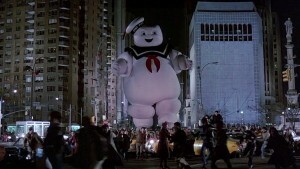 Ghostbusters is distributed by Black Rhino Delphi Productions, Columbia Pictures.